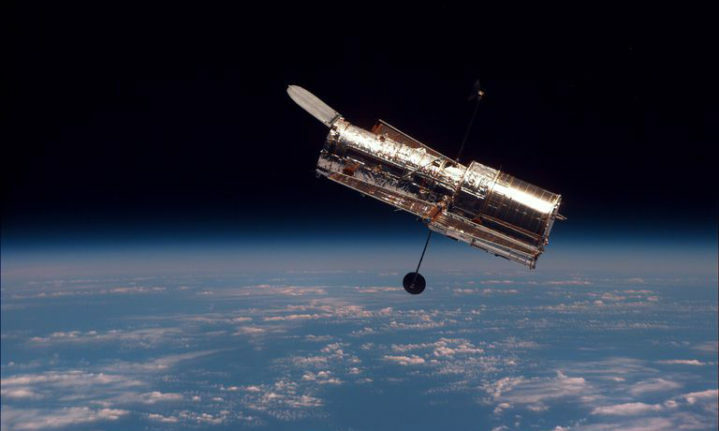 There’s a problem with the Hubble Space Telescope. According to a recent NASA announcement, one of Hubble’s main instruments, the Wide Field Camera 3, has suffered some sort of hardware failure and is currently offline. There’s no indication of when or if the telescope will be repaired. According to the NASA announcement, the malfunction occurred at 12:23 a.m. Eastern time. The announcement doesn’t give very many details and only says the issue is “a hardware problem.” The announcement also says an investigation is underway, and it’s likely we’ll learn more about the problem when that investigation is completed. Fortunately, even in a worst-case scenario, Hubble is likely to continue providing valuable science. Wide Field Camera 3 is one of four cameras on Hubble, with the other three being the Advanced Camera for Surveys (ACS), the Space Telescope Imaging Spectrograph, and the Cosmic Origins Spectrograph. These instruments can produce some pretty incredible science on their own; the famous Ultra Deep Field image was produced with the ACS, for instance. There’s also a decent chance that the Wide Field Camera can be repaired. According to the announcement, the camera has redundant electronics just in case such a problem were to happen, and NASA can always switch over to those if they need to. Still, this is just another reminder that Hubble is getting old, and it’s only a matter of time before it goes out of commission entirely. This is actually the second Hubble malfunction in less than a year; in October, one of its gyroscopes suffered a brief malfunction. NASA was able to repair that problem as well, but like all aging electronics, Hubble is going to have problems and malfunctions more and more frequently. At this point, it’s just a question of when Hubble will finally fail for good, and how much science we can get out of it before that happens.